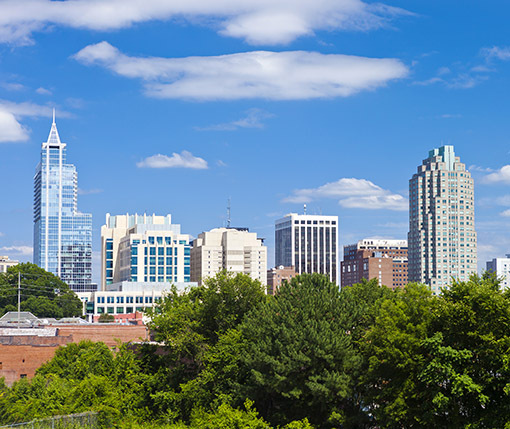 Responding to the need for more skilled workers in the fast-growing Research Triangle region of North Carolina, employers across the 15-county region expect to add as many as 37,000 new jobs over the next three years, according to a new study from RTI International. To accommodate this growth, companies are facing challenges identifying and hiring workers with the right mix of education, technical, and soft skills needed in the workplace. The new study, “Triangle Talent: Understanding the Skills Gap,” focuses on workforce talent and skills needs of businesses of all shapes and sizes and generated numerous comments by local industry leaders about the quality of the talent pipeline to meet their near-term needs for workers. Economic and workforce development organizations in the region are banding together to shape initiatives to best meet the current needs of business as identified in the study, such as improving apprenticeship programs for businesses. Growth in the region overall will be significant with 74% of the hundreds of firms surveyed expect to grow and hire workers. High tech (information technology, software and analytics- 87%) and life sciences and bioscience firms (85%) will lead the job growth followed closely by the construction industry and skilled trades (84%). A key takeaway of the study was that while companies value candidates with 4-year degrees, more technical education candidates are highly valued, especially in the construction and skilled trades, manufacturing, restaurants and hospitality industries. The study also highlighted that networks are the most important tool for sourcing talent which is important to recognize as business seeks to diversify their talent base. RTI researchers, Michael Hogan and Sara Lawrence, in partnership with Wake County Economic Development organization, the City of Raleigh, and the Capital Area Workforce Development Board, presented the findings to over 250 participants at an information event at the Raleigh Convention Center on February 13, 2018.